Georges Seurat painted perhaps his most recognized work,"Sunday Afternoon on the Island of La Grande Jatte" in 1884. After studying color theory by Sir Isaac Newton ("Opticks" 1704) and other scientists, Seurat chose not to apply paint in the manner of the Impressionists, but instead to apply dots, deliberately using complementary colors from opposite sides of the color wheel (red and green, blue and yellow for example) side by side, to intensify each color. Seurat’s large canvas (begun when the artist was only 24 years old) can be seen at the Art Institute of Chicago, where it is best seen from a distance, not close up. I have seen this painting and it is quite amazing, in terms of its painstaking execution. If you were to step back, optically, the dots seem to merge to create Seurat’s imaginary Paris isle (because of his intermittent use of primary colors). Also labeled as Divisionism and Neo-Impressionism, Seurat’s "Sunday Afternoon" was displayed at the eighth (and final) Impressionist Exhibition in 1886. The work was seen as "anti-Impressionist" as he was disengaging himself from the Impressionists ideals. The sheer size of "Sunday Afternoon on the Island of La Grande Jatte" was much larger than what was attributed to the Impressionist artists who painted spontaneously, "en plein air," capturing a moment in time. Seurat instead worked diligently on his ‘dots’ with great precision, it would take two years to complete his masterpiece; this was truly a labor of love. 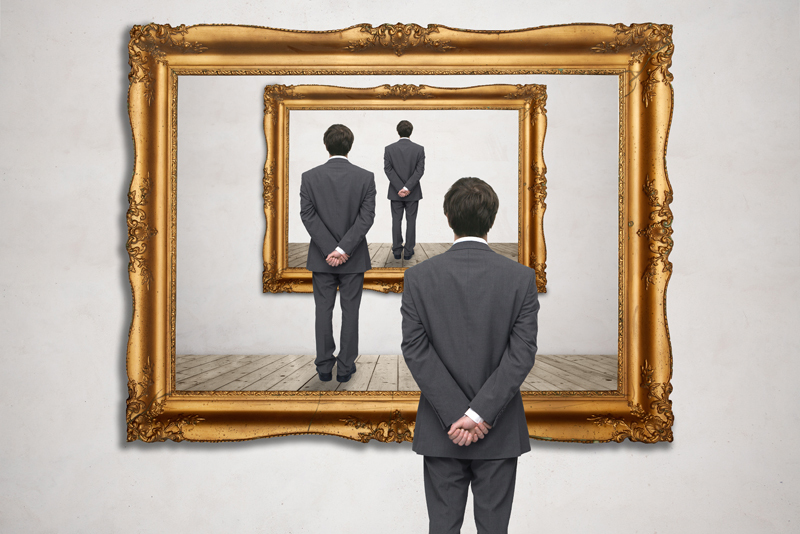 He would control the framing of the painting by adding a slender border of dots along its edges. This technique may have been used to stabilize and close the painting. Seurat chose the river Seine as his location, with crowds of unnatural people as his models. He artificially transplanted middle class city dwellers into a natural setting on a summer’s day. They are randomly situated, some appear stiff, others remote, seen in profile, frontal view, seated at right angles, reclining horizontally, and standing upright. It has been called an "architecturally conceived Garden of Eden." Seurat’s technique of painting would be considered the most original style of painting at the turn of the 20th century. While visiting the Art Institute of Chicago, I took the opportunity to photograph a close up of the famous painting. This may help in understanding Seurat's use of dots. Coincidentally, exactly one hundred years after Georges Seurat exhibited "Sunday Afternoon," contemporary artist Damien Hirst would create "The Complete Spot Paintings" (1986-2011), a series of 331 white canvases covered with multi-colored ‘dots’. 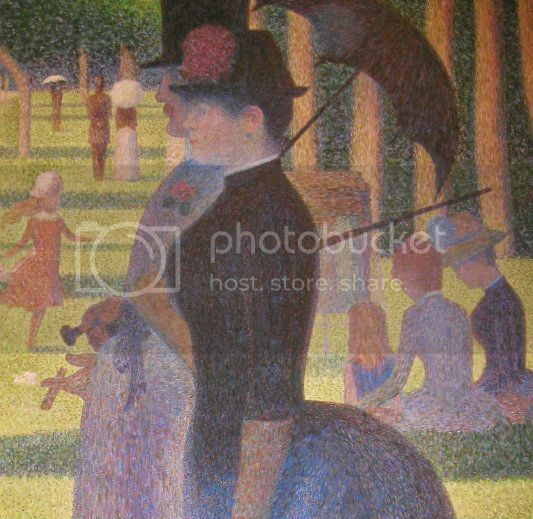 One example of how the two artists differ is that Seurat's work was labor intensive and he worked alone on his canvases. Hirst admits to having only painted a few of his ‘spot paintings’ himself, the remaining being executed by his assistants. Seurat used his dots to create images, whereas Hirst paints spots only in the interest of their intrinsic value. One wonders if Hirst considered color theory when he executed his spot paintings. You can own a giclee print of Georges Seurat's "Sunday Afternoon on the Island of La Grande Jatte."